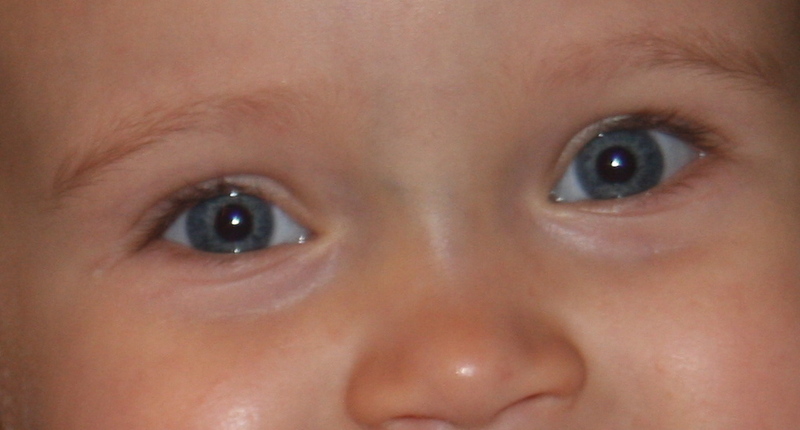 Is There a Toddler Copycat in Your Midst? We have a toddler in our house and he is the cutest when he imitates his mom (my daughter) and his dad. He loves to take a napkin or paper towel and clean his place at the table or the top of his high chair and just about anything else in his reach. It is only a matter of time when he will imitate the things his mom and dad and anyone else in earshot says. It is now time to make sure that what we say is something that we would not mind him repeating. Personally, I find the car a place where I might exclaim words that I would not like to hear him say…even thought when a child imitates our behavior we tend to laugh which only encourages him to keep saying things that are not appropriate. So just remember that the toddler in your midst is listening to everything and is already planning to embarrass you when you least expect it. In our home, once upon a bedtime used to mean a simple, pleasant and relatively easy routine until “bad dreams” became one our little one’s nighttime fears. Fortunately, the ‘bad dreams’ have all but disappeared with the help of a magic wand and consistent reassurance whenever our toddler is awakened crying and frightened. Now bedtime has become its own nightmare…procrastination has taken over our once relaxing routine. Our little granddaughter is a master at asking for sips of water, multiple stories, hugs and kisses to name only a few of her requests when the word ‘bedtime’ is spoken. Before we get totally weary, we have decided to deal with this issue now and without delay. We are about to pursue some tips from the Sleep Lady. Even though, I also work in the field of child sleep teaching, I admit that I must remain open to suggestions when dealing with issues within my own family. First off, we will all sit down with our granddaughter to discuss the “new” routine making sure that she knows we will always be nearby…. (which is actually a return to our pre-nightmare routine)…however, we will not be rocking her to sleep or reading numerous books…there will be one sip of water…good night hugs, kisses and tuck in. These days, naps after morning pre-school are inconsistent, so 8-8:30 pm seems to be an appropriate bedtime in order to get the recommended ten to eleven hours of sleep for a 3 1/2 year old. She also has one hour quiet time every afternoon. Goal: in bed, asleep between 8-8:30 pm. How does bedtime work for your preschooler? Are you consistent with your child’s bedtime routine? Does a grandparent or other caregiver not follow the routine… are they more easily diverted by your child’s prize winning procrastination abilities? I have to say that I am the grandparent who, at times gives in, and Papa can be sometimes equally as bad as I am. At this time, we are committed to a firmer routine so that all of us can sleep better. Sleep is just too important. Helping Your Toddler Go to Sleep and Stay in Bed | SleepLady. Toddlers and the “No” Word! I recently read a blog post by Lisa Sunbury about how often we use the word , “No” when dealing with our own children. It amazed me, especially as I began to listen to parents while I was out shopping and running errands …but more importantly I began listening to myself as I spoke to my own granddaughter during any given day. I say the “no” word more than I would like to admit. The word “no” should have real meaning when you say it especially to a child. If you repeat the word “no” over and over it really loses its effectiveness when you really need a child to listen. Here are some of my tips to fight over use of, “No” with toddlers. Try to recognize what the child is doing and call attention to it. For example…”You are walking on the sofa”. Next explain that sofas are for sitting or laying down…”we walk on the floor and we sit on chairs and sofas”. Ask for his cooperation and help with keeping the sofa clean by not walking on it. “I know you want some cookies but we are going to have dinner in just a little bit…can you help me get it ready? You can have some cookies after dinner”. Sometimes this strategy buys a little time but it definitely takes the word “No” out of the conversation. Lisa Sunbury has some 6 Tips to avoid the word “No”. Recently we have been watching the Disney movie, “Enchanted“. There is a short scene where, Giselle is complaining to Robert that he is always saying …”No”. It takes on more meaning for me when I read this on Google and after reading Lisa’s post. A UCLA survey from a few years ago reported that the average one year old child hears the word, No!, more than 400 times a day! You may, at first, think this must be an exaggeration but consider this…when we tell a toddler No! we usually say, No, no, no!. via Google Answers: Hearing the word “No” as a child. Lisa Sunbury’s blog is a remarkable resource for parents and their children. It is my hope this post which includes only a snippet of her work with kids and parents inspires you to connect with her work. Are Toddlers and Sports a good fit??? “Toddlers and Tiaras“…”Toddlers and Sports“…personally, I would pick sports for my toddler. But is this a smart idea? Is it a better choice or does it just sound better to me. Toddlers are really still growing and their bones are not fully hardened which makes injuries more serious when they do happen. According to this post in Parenting.com orthopedists are not proponents of competitive sports for young kids. The reported childhood injuries have increased as more children compete in these sports. Keep it non-competitive for the toddler…let them just have fun…there is nothing wrong with that. It is just better not to push our kids…Balance is key. Knowing what that balance is seems difficult these days. What do you think about sports for toddlers? What choices have you made? As I was walking on Park Avenue last month, I noticed a little girl about 3 years old, standing next to her stroller. She was wearing a lovely outfit, but what got my attention even more were her silver shoes. via A Moment With a Mayor, and Other NYTimes.com Reader Tales – NYTimes.com. What pressures parents living in a city like New York experience when they want to send their child to a private pre-school. How do parents prepare for this…the “right” outfit of course but what else? What are these interviews like? If you and your child have been through a school “interview” please share some of your experience. What was it like…how nervous where you? Are coloring books good for kids? This may be the best thing I have read in awhile. Well… not that much any more thanks to reading this little tidbit. I always hated coloring in the lines myself so why did I think that this was not the case with my little one here. It does squash creativity … the fact that all the free hand work makes it to the fridge door should have spoken volumes to me. So think about how to inspire your child or grandchild with doodles and enjoy the splashes of color and lines. Coloring books teach children to be passive about their art. Rather than drawing something themselves, they are coloring in adult-drawn images. Coloring books teach toddlers to compare their art to an adult’s. Coloring books set toddlers up for failure. Coloring inside the lines? How many toddlers can, or better question, should, do that? Scribbling is linked to future literacy. The more toddlers scribble and draw, the easier it is for them to learn to write later. As toddlers scribble, they learn to make all the shapes necessary to write the alphabet. Coloring inside predetermined lines doesn’t allow this to happen. via Why Coloring Books Aren’t Good for Toddlers | Toddler Times. Forget everything you may have read about coping with children‘s temper tantrums. Time-outs, sticker charts, television denial—for many, none of these measures will actually result in long-term behavior change, according to researchers at two academic institutions. Whether a child has violent temper tantrums or is extremely clingy, their behaviors can be curbed, according to child psychologists at Yale University and King’s College London. Shirley Wang has details on Lunch Break. Instead, a set of techniques known as “parent management training” is proving so helpful to families struggling with a child’s unmanageable behavior that clinicians in the U.S. and the U.K. are starting to adopt them. via Tantrum Tamer: New Ways Parents Can Stop Bad Behavior – WSJ.com. Parents can control bad behavior if they are consistent with their approach to their child’s meltdowns. This is not easy and many parents may become frustrated and revert to their “old” approaches before they actually see positive results. My personal favorite book on the subject of children’s behavior especially that of toddlers is “The Happiest Toddler on the Block” by Dr. Harvey Karp. It is easy to read and follow…my copy is totally dog-eared. I absolutely endorse his “Fast Food Response” to the toddler’s demanding demons. You see, he says…toddlers lack the maturity and sometimes I do as well, to express what they really want …so a tantrum is the best way to get it. Dr. Karp tells us to verbally recognize what the child actually wants…this usually gets the toddler to respond by suddenly stopping in his tracks…this is the time to inject some choices (not too many) or an alternative. Why this works? Simple… it disarms the child…he gets his needs validated, understood and respected. Really it works…I have tried it. So, there is hope for tantrums…remember “meltdowns are not pleasant for the child either. Be patient and consistent and get help, you will probably need it…but trust me, it will be worth the effort in the end. Lets here it for Hollywood again …Suri Cruise and her pacifier. What is all the fuss? Is five years old too old for healthy pacifier use??? What we know…pacifiers soothe and comfort. Toddlers may use them as “transitional objects” to lower their stress levels. So why not…since they cannot clearly express themselves and talk it out, let them soothe with sucking. Breastfeeding- pacifiers may interfere with the establishment of early breastfeeding, however can be used for oral training in infants. Dental health-dentists recommend that pacifiers not be used after 4 years of age and possibly earlier. Risks outweigh benefits generally after 10 months of age and risks increase after age 2..
As parents we have to make many decisions pacifier use is just one of them. You and your child will work it out. If your child uses a “binky” there is always the dilemma of how to “get rid of them” . One story struck me…a mom tied each of her child’s binky to a balloon and let her child release them into to the air to go to other babies in “heaven”. She took pictures of this milestone. ( I know, what about the environment and the balloons?) I am open to other suggestions. Try to deal with these milestones with the least amount of stress and trauma…in the scheme of things it is no big thing! How do you deal with pacifier problems?? Protect your phone and other devices from your toddler techie…you cannot be too careful. These kids are clever and computer fearless. Here is an article you need to read. If you read yesterday’s post on the little girl who accidentally spent $1,400 on her mom’s iPhone, it gave pause for thought on the various ways we can better protect our phones – and our bank accounts. If an 8-year-old can do that much damage, imagine what a toddler with little inquisitive fingers and a blissful obliviousness could do. Luckily, there are a few options available for addressing this exact quandary. First, double check the parental controls that are built-into your device’s operating system. The iPhone 4 in particular has controls that let you to restrict access to certain apps, browsers, iTunes and more. A website called iPhone and Kids has a helpful guide which takes you through setting these controls. via Protecting Your Device From The Dangers of…Toddler Hands – Parenting.com. BubCap is my recommendation for those of you with i-Phones. “According to a 2008 study, the 10 foods that pose the highest choking hazards for young children are hot dogs, peanuts, carrots, boned chicken, candy, meat, popcorn, fish with bones, sunflower seeds and apples. via The 10 Biggest Choking Hazards – NYTimes.com. Choking is a serious situation for any child. It is best to stay away from foods that can pose a choking hazard for your child. Even if you are vigilant when feeding these foods to your little one it is not worth the risk. In addition to the choking risk, a child can aspirate any of these foods while coughing to prevent themselves from choking. Aspiration occurs when food or liquids are inhaled into the lungs. This can cause serious complications for a child and can also result in death. A child’s trachea or “wind pipe” is very tiny ,not even as large as your pinky finger, so it only takes something quite small to block the trachea and cause a child to choke and not be able to breath. Small pieces of food are recommended. Children and babies should always have someone with them while they are eating. They should not eat in the car or walking around. Ideally, they should be in their own seat or high chair. All caregivers and parents should be trained in CPR for babies and children in case of an emergency. high risk foods: hot dogs, food with bones, candy,including, peanuts, sunflower seeds, apples and carrots. 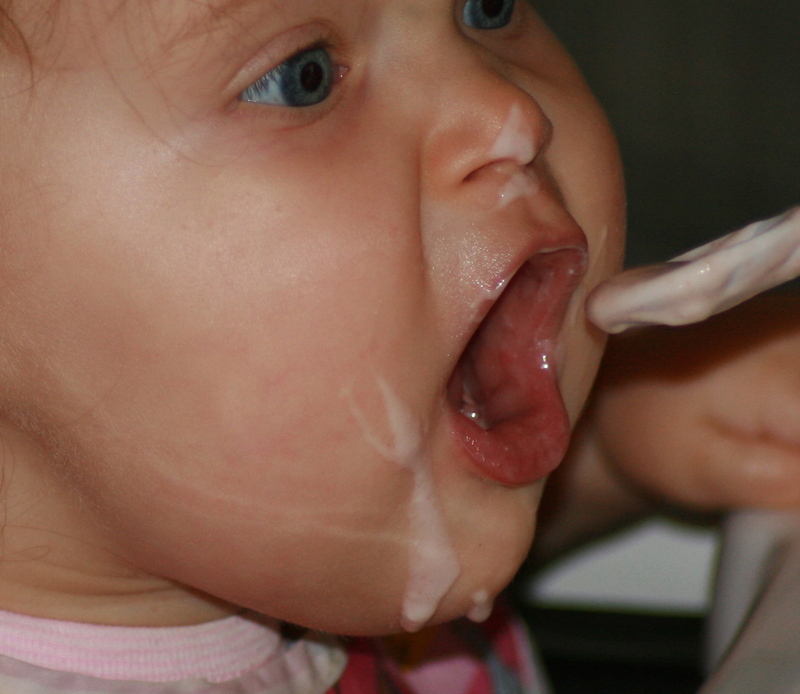 babies and young children should be supervised when eating. babies and young children should not eat walking around or in the car. babies and children should eat while seated in their own seats or high chair.